To brighten the day, the company has given a new shape and a modern look to the mythical Cicada from south of France, synonyme of light and warmness for french people. 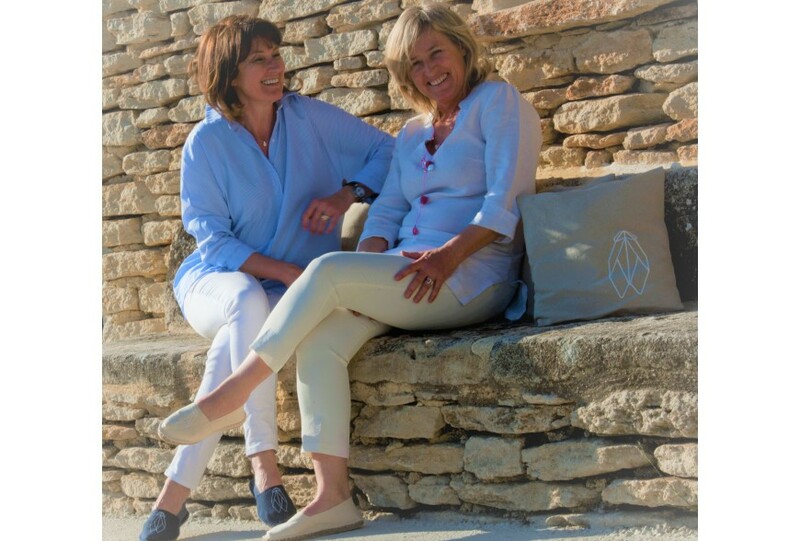 Jacotte chuchote … developes a wild range of products which sing the art of living in Provence. Designed with minimalism lines, "Jacotte" Cicada appears on espadrilles (sneakers), apron, candle holders with an add on touch of the iconic lavender, poppy.... emblems of the county. Products are locally made and assocative workshops are entrusted with the textile manufacturing in order to give a social dimension in the project, carried by the two founders and friends Annick Lallement and Raphaele Jaillant. Since January 2017, over 60 retailers are selling Jacotte chuchote’s merchandise, all over south of France, Monaco and even in Germany. Since the products are representative of the “art de vivre” in Provence, the retailers aim for local as muchas touristic customers. In order to develop the brand, Jacotte Chuchote is expending its network, range of products and partnership with French Craftsmen.